Sign up to our webmail. Extent of Tootgarook Wetland is closing it's feedback on Friday. Our submission has been finalised and sent off to Mornington Peninsula Shire, we have provided a fairly detailed submission (66 pages) which could have been further expanded upon due to the complexity of the Tootgarook Swamp and the time frames involved. Save Tootgarook Swamp has submitted its submission to the Mornington Peninsula Shire Biodiversity Conservation Plan you can read it here. The community has been invited to share their feedback on the Extent of Tootgarook Wetland, Mornington Peninsula (Draft Report) there is also a community drop-in session on Wednesday 20 March 2019 that can be attended. In May 2018, the Mornington Peninsula Shire Council adopted the Tootgarook Wetland Management Plan 2018 seeking to prevent further degradation of the Wetland, promote its values, recognise its role in the Catchment and broader Port Phillip area, and define the key risks to its values. The aim of the management strategy is to review the existing planning scheme provisions affecting the Wetland, make recommendations to improve and strengthen the Environmental Significance Overlays, and prepare guidelines for the nominated buffer zone. The Council engaged ecological experts, Biosis Pty Ltd, to review the extent of the Wetland and prepare a management strategy. Tootgarook Swamp is the largest groundwater-dependent ecosystem and freshwater marsh in the region. The Wetland contains significant environmental and cultural values and is home to more than 240 indigenous plant species. It also holds a variety of fauna that includes internationally significant birdlife. Community consultation is currently open until 5pm Friday, 5 April 2019. You can also submit an online submission through the following URL. Email: Email your submission to: haveyoursay@mornpen.vic.gov.au with the subject line ‘Draft Report: Defining the Extent of Tootgarook Wetland’. Some more exciting wetland news. The Shire have received their draft report for Defining the Extent of Tootgarook Swamp, at the coming council meeting on February 18 the council will be resolving to place it on public exhibition to seek community feedback for at least six weeks. The report is the most accurate boundary of the swamp created to date, even though some has been lost over the years to human interference it is calculated to be 319 hectares in its current extent. The report also goes on to give what is the best to date theory of the swamps functionality with hydrology, without further discussion or study, and raises knowledge gaps etc. It goes through values and threats to the wetland, in planning context as well (there are some planning changes happening as part of the report), and is well worth a read to widen knowledge of the largest wetland on the Peninsula. In all, 64% of the original swamp remains, considerably more than the other major swamps in the region: the Kooweerup Swamp (<1%), Carrum Swamp (<5%) and the closest, Kangerong Swamp (<5%). It's almost hard to fathom how this wetland had become lost on maps not existing on them only 8 years ago. We thank everyone whom is supporting and caring for our wetlands. There are a number of recommendations within the report. o Deleting those parts of ESO14, ESO18 and ESO19 that overlap with the new ESO (Attachment 6).  Consider a further review of any ‘unrelated’ provisions in ESO14 and ESO19 to determine whether another rationale (e.g. visual landscape values) exists for retaining such controls. If yes, review their mapping regarding their objectives and consider other overlay controls, e.g. the Significant Landscape Overlay.  List the Wetland Extent Report as a Background document in clause 72.08 of the Planning Scheme. o Encourage appropriate revegetation and rehabilitation in these locations.  Address the threat relating to the importation of geological and biological materials through good environmental management guidance which could be included as a permit condition if a permit is required. Otherwise, such guidance should be prepared in consultation with Melbourne Water, Environmental Protection Agency (EPA) and any local land managers to provide advice on best practice techniques for landowners. It goes through values and threats to the wetland, in planning context as well, and is well worth a read. the years to human intervention it is calculated to be 319 hectares in its current extent..to seek community feedback for at least six weeks. a reference that can be used in future developments. 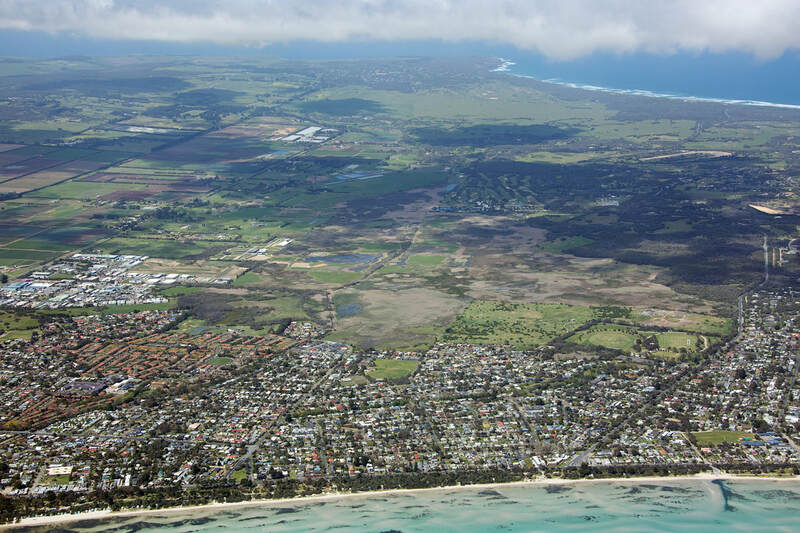 Mornington Peninsula Shire is making some moves to better protect wetlands on the Mornington Peninsula with seeking to place Conservation Covenants for Warringine Park, in Bittern and the recent section of the Tootgarook Swamp it acquired at 92 Elizabeth Avenue, Capel Sound. Entering into conservation covenants for these reserves enables Council to demonstrate its commitment to conservation of biodiversity and landscape values and protecting these important natural assets by placing permanent legal protection on these properties. Conservation covenants will enable Council to potentially access significant native vegetation offset funding. Trust for Nature is working with the Mornington Peninsula Shire to help promote the protection of biodiversity on public and private land and will be covering the costs associated with applying a new covenant. Significantly the covenanting of 92 Elizabeth Ave joins other Conservation covenants within the Tootgarook Swamp being the private covenant at Boneo Park and 191A-191 Browns Road, Boneo. -the delineation of the Tootgarook Wetland system. -mapping of potential EPBC listed vegetation communities. We hope to provide the updates on these reports as they get completed. The Shire is inviting the community to provide feedback on its draft Biodiversity Conservation Plan, a large milestone in protection of the Shires Biodiversity. The Shire is inviting the community to provide feedback on its draft Biodiversity Conservation Plan, a large milestone in protection of the Shires Biodiversity. It provides actions to achieve best practice management for the protection and enhancement of biodiversity on the Mornington Peninsula. Biodiversity is an essential component of ecosystem health, vital for sustaining the processes that make all life possible. Biodiversity underpins much of our economic wealth, including agriculture and tourism and provides numerous social and cultural benefits. All human activities and land uses ultimately rely on diverse and functioning ecosystems, and all human activity, in-turn, has an impact on the environment, such that, the status of biodiversity and ecosystem health is determined by the actions of everyone. • Cultural – e.g. recreational, spiritual. They are the result of the complex interactions and processes of biodiversity (i.e. genes, species and ecosystems), all working together. Many of these functions and services are irreplaceable, providing us with food, water, clean air and water, climate regulation, organic waste decomposition, soil stabilisation, plant pollination, and providing for our health and wellbeing. Biodiversity across Australia is in a state of ongoing decline, because of a legacy of widespread land clearing, and the impacts of a range of threats, including the introduction of exotic plants and animals, disease and changes to natural processes, such as fire and water flow regimes, which have led to population declines in species, and eventually, extinctions. Victoria is the most cleared and intensively settled state in Australia, and between one quarter to a third of all terrestrial plants, animals and ecological communities are now considered to be threatened with extinction. On the Mornington Peninsula, 6% of indigenous plants and 20% of native fauna are threatened. The draft Plan is largely informed by the Shires State of Biodiversity Report for the Mornington Peninsula, something that we encourage all people to read. The Shire is inviting the community to provide feedback on its draft Biodiversity Conservation Plan, a large milestone in protection of the Shires Biodiversity. State of Biodiversity Report for the Mornington Peninsula Shire. Drawing on data from scientific, government and community sources, it is truly a comprehensive report and is essential reading for anyone interested in the peninsula’s natural environment. The Shire is inviting the community to provide feedback on its draft Biodiversity Conservation Plan, a large milestone in protection of the Shires Biodiversity. State of Biodiversity Report for the Mornington Peninsula Shire. Drawing on data from scientific, government and community sources, it is truly a comprehensive report and is essential reading for anyone interested in the peninsula’s natural environment. The report has been prepared to assist the Shire in developing our Biodiversity Conservation Plan, which aims to establish strategies and encourage actions to help us achieve best practice management for the protection and enhancement of biodiversity on the peninsula. You can have your say on the Plan by completing the Shires online survey or by filling out a hard copy survey. The draft Plan is on public exhibition until 20 February 2019. Email: Email your submission to: haveyoursay@mornpen.vic.gov.au with the subject line ‘Draft Biodiversity Conservation Plan’. to help protect our native plants and animals. Lots of information is also available about the Tootgarook Swamp from the official Save Tootgarook Swamp website at www.savetootgarookswamp.org. UPDATE News- On the 31st of October Save Tootgarook Swamp gave some verbal submissions in support of our written submissions to the Mornington Peninsula Shires Forward Planning Committee. This was in regards to the Southern Peninsula Arterial Corridor Investigation (see previous news post as well for STS submission). The meeting followed on from the community consultation process that has occurred following public exhibition of the Southern Peninsula Arterial Corridor Investigation (SPTI) Report. Currently a Public Acquisition Overlay cuts through critical habitat of federal listed species and high biodiversity values. This process is about considering alternatives could be considered and changed, weigh up options and have a discussion about what could be the best long term strategy. We have finished our submission to the Mornington Peninsula Shires Southern Peninsula traffic investigation. PLEASE HAVE YOUR SAY: Council working to unlock congestion on the Southern Peninsula and inviting you to provide your thoughts on a preliminary investigation report. Mornington Peninsula Shire is investigating alternative traffic plans to using the southern peninsula freeway reserve through the environmentally and culturally significant Tootgarook Wetlands and reduce traffic congestion. We have been involved in this process which is aimed at getting ahead of the game and doing something to change the future for the benefit of the entire Southern Peninsula and it’s biodiversity and Ecosystems before any road announcement can be made. The 590-hectare Tootgarook Swamp is the largest Shallow Freshwater Marsh in the Entire Western Port and Port Phillip bay region, we have destroyed and modified and drained all the others. We certainly shouldn’t be destroying our Southern Peninsula Biodiversity and Environment for a few weeks of the year, and certainly Should be destroying what is the most significant wetland in the entire Melbourne region. We recommend that everyone views this PowerPoint presentation that Save Tootgarook Swamp ran during a public meeting we put on in April to understand the values of the Freeway Reserve and why it's important to not increase traffic levels, before doing the survey as to have a greater understanding of the issue. 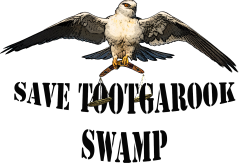 We also have lots of information on our website www.savetootgarookswamp.org to help understand the Tootgarook Swamp better as a community resource. The 50-year-old Public Use Zone and Public Acquisition Overlay have never been assessed entirely for cultural or biodiversity considerations, it’s outdated. An extremely significant amount of biodiversity values are sighted on the PAO. 5 EPBC matters, plus 9 migratory agreement species. 2 FFG listed EVC’s and another 6 State significant endangered EVC’s. 10 FFG listed species and another 8 Near Threatened and Vulnerable Species. 1 endangered and 7 Rare plants. This doesn’t include regionally significant data, that is species that are becoming extinct on the Mornington Peninsula, but are common elsewhere. We believe that we need to reduce traffic levels on the Southern Peninsula, yes, it’s important to solve some localised congestion issues, though we don’t want to invite more traffic and increase congestion by decreasing travel times to Melbourne we can only fit so many cars in the area because we really are an Island separated by Arthurs Seat to the rest of the Peninsula and Melbourne. We need to remove cars from roads specifically day trippers in the peak season A smarter traffic system is needed on the Nepean Peninsula, one that splits traffic up based on destination, with better traffic flow designed on the existing road networks. This is why it’s time for other alternative options such as pushing for a ferry service to Melbourne and Frankston, we will never be linked by rail, there simply is not enough land on the Southern Peninsula due to geographical restraints. We also recommend that you write a submission if you feel that the online survey doesn’t you’re your view point. Email your submission to: haveyoursay@mornpen.vic.gov.au with the subject line ‘Southern Peninsula Traffic Investigation’. We strongly advocate for biodiversity as the fundamental condition to health and wellbeing, the protection of biodiversity and our environment is the greatest good. Based on the alignment of particular local issues being raised in Local Government and State, free ranging cats continuously being seen and suggestions that Trap Neuter Release or similar programs could be suited to Australian conditions by the RSPCA we have written a Submission in response to the “How can we best manage domestic cats in Australia?” following on from the Victorian Government Feral Cat declaration. ​ following the RSPCA's paper “How can we best manage domestic cats in Australia?”​ The only moral and ethical question that we should be asking is, should we let cats persist outdoors despite the consequences that they have for indigenous species and to humans? The Tootgarook Wetland Management Plan is finally returning to Council on Monday 14th of May at 7pm for adoption. It is the largest groundwater dependent ecosystem and freshwater marsh in the entire Western Port and Port Phillip bay region. The coming together of this plan has been a long time in the making and has had a lot of information and knowledge put into it about an important geological and geographic feature that has been largely unrecognised and misunderstood by many over time. The coming together of this plan has provided a pathway forward, to deal with these issues, whilst protecting our biodiversity, groundwater, and existing use rights. The greatest threat to the wetland remaining is a potential large and costly freeway that is an outdated plan not in line with our understanding of environment, wetlands and biodiversity today. We currently are pursing independent community action to help strengthen Council’s resolve to remove the PAO over the freeway extension. While the Wetland is not currently a Ramsar designated wetland, the Ramsar Nomination Feasibility Study commissioned by Council in June 2013, found that it arguably meets several listing criteria. International recognition of this wetland would aid and benefit not just the biodiversity of the wetland, but also provide opportunities for recreation, education and greater sense of connection with the natural environment, attracting international visitors with a specialised interest in conservation and the natural environment. We would like to thank all who took the time to attend the meeting on Saturday the 21st of April regarding the removal of the current Freeway Overlay on the Southern Peninsula. Even with the turnout we had, people from 12 different localities from all over the Peninsula attended which is a great way to get this ball rolling! The information gathered will be looked at over the next few weeks and from this a further strategy will be developed based on the thoughts and ideas of those that attended. It’s important to recognise the current usage of the Freeway reserve, which includes primary production, business, employment, residential uses, biodiversity values, amenity, and cultural heritage. Should you wish to revise review and refresh your memory, the link attached bellow is the meeting's presentation for you all to look at your leisure, particularly some of the last slides I skipped through in relation to roads, due to time constraints. If you have not yet read the Mornington Peninsula Tourism Board's presentation to the Nepean Conservation Group (highly recommended! ), it provides a vital insight into the type trips we see from our roads. To read more about the subject, just follow this online link to a folder with all the information and resources available to you. What is the Tootgarook Swamp? The Tootgarook Swamp, or Boneo Swamp, as it is sometimes referred, is a Ground Water Dependent Ecosystem and the largest example left of an Shallow freshwater marsh in the Port Phillip bay and Western Port region. The swamp exists on organosols soils (fibric peat), and as a peat regenerating wetland it is the most threatened form of wetland type internationally. Peat regenerating wetlands are a major carbon storehouse, exceeding that of forests, and are worthy of international Ramsar protection. In fact one could argue that the Tootgarook swamp matches the description of a in fact a fen. A fen is a wetland system with a permanently high water level at or just below its surface. It’s principal source of nutrients is from surface or groundwater, and the substrate is an alkaline to slightly acidic peat soil. The vegetation is usually dominated by sedges. Similar to "The Fens" in England there are a few hills, which have historically been called "islands" as they remained dry when the low-lying swamp around them were became inundated by ground water. The approximate 590 hectare swamp is found on the lower section of the Mornington Peninsula, called the Nepean Peninsula in Victoria, Australia. Unfortunately a large portion of the Tootgarook Swamp is inappropriately zoned as residential and industrial, with roughly half of the actual swamp inside the green wedge and half within the urban growth boundary. There are only 4% of total wetlands left in Victoria that are greater than 100 hectares, and of the original wetlands in Victoria, we have already lost over 37% in the last 200 years. The Tootgarook Swamp is no different since European settlement,considerable land use changes have altered the landscape, reducing the wetland area from an estimated 1,500 hectares to approximately 650 hectares. Of the 100% of shallow fresh water marshes in Victoria, 60%  have been destroyed. Australia is the most arid continent in the world, yet we still drain and fill our wetlands. Wetlands are considered the most biologically diverse of all the planets ecosystems, but despite this they are still being destroyed at an alarming rate. Wetlands are described as the interface between land and marine ecosystems and are known as the cradle of diversity, existing on all continents globally (including Antarctica recently discovered), essentially wetlands are a biodiversity super lab. A wetland is like a snowflake. No two wetlands can be the same as they will not have the same conditions. There are many ingredients that add to these conditions, like the PH or alkalinity of water, soil types, climate, land shape, geology, water seasonality, atmospheric precipitation cycle, and salinity. All these ingredients combine in many different ways to create a unique genetic diversity seen only in wetland environments and specially balanced and suited to the species that inhabit it. The cost of replacing these (if possible) would be extremely expensive. It therefore makes economic and development sense to protect our wetlands like Tootgarook Swamp so they can continue to provide for us and the planet for generations to come. Save Tootgarook Swamp is dedicated to fighting for the continued protection of the Tootgarook Swamp catchment and its unique biodiversity values, and strongly believes in the Ramsar convention's context of the Wise use of Wetlands. So please support our campaign to help protect this precious swamp for future generations by signing the petition on the community run website. and we hope you have a look around the website and it other page resources. Tootgarook from Anthony Kelly on Vimeo. Wetland Fact Sheets produced by the Ramsar convention of Wetlands with information on the benefits of wetlands, their alarming loss, wise use of wetlands, and what you can do as an individual. 2013 1st AGM (Very large file).ppsx.